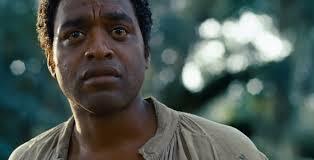 12 Years a Slave is the harrowing true story, of an African American man who was once free, but was kidnapped and sold into slavery. What makes this different from other stories about slavery is that this one gives us the viewpoint of someone who has tasted freedom. Whereas the slaves born into slavery seem to go along with life as they know it, never making waves or putting their selves in harm’s way. In a sense, they know better, they have learned perhaps through the trials and tribulations of life not to say anything that will draw attention on to them. 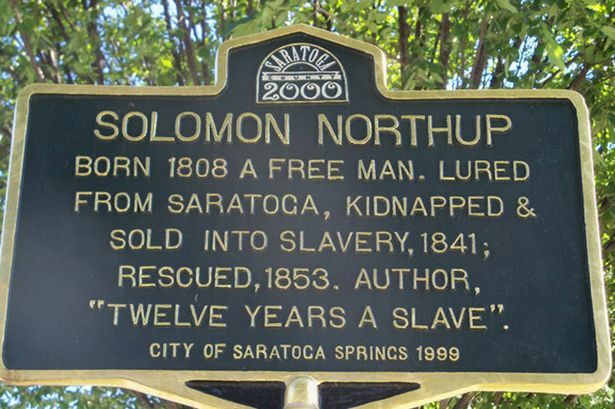 Solomon Northrup (Chiwetel Ejiofor) was from Saratoga, New York, he walked the streets proudly and held his head up high with his family. His wife, daughter and son, grew up in a house with music, with bedtimes, there was a sense of normalcy in their way of living. He was a respectable member of society, yes he was African-American, but he wasn’t treated badly or shunned from the rest. He was a learned man, educated, someone who held a good job, and had the money to take care of his family. Most importantly above all he was a musician, a violinist, a fiddler, one that people revered. In one sense, this was something that made him known in society and what made some people disdain him in a way. The movie works out the story through flashbacks and montages of his former life, coupled with that of his current plot. 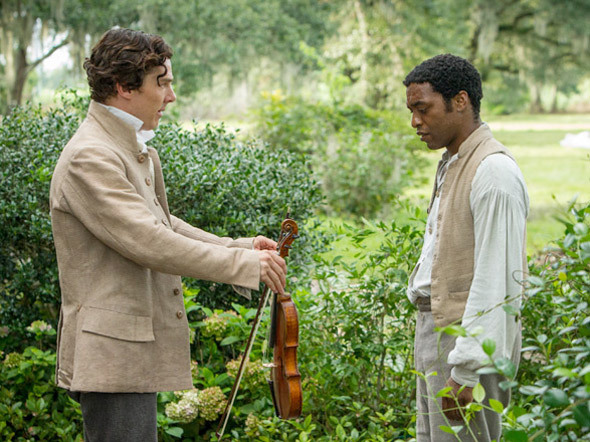 He is tricked and sold to a slaver and is told that he is a runaway slave named Platt. He is nothing of the sort, but no one believes him. Why should they believe him? He has no papers and nothing to distinguish himself. Platt quickly differentiates himself from the other slaves, something is different about him. At one point when they are trying to move lumber he talks to his first slave owner Ford (Benedict Cumberbatch) and tells him an idea to get the wood across the canal. He uses engineer-like terms, words that no slave would know or understand and his plan works. That alone sets him up as someone to be tamed. 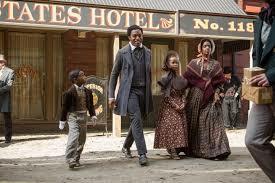 He is then sold off to another slave owner, Edwin Epps (Michael Fassbender), he is ruthless, god fearing and a drunk. 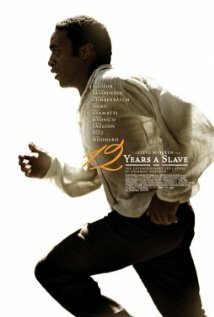 His unethical treatment of his slaves is heartbreaking and difficult to watch to say the least, but in a sense this needed to be in the movie to show the realities of what occurred. Throughout the film, we get a lot of moments where there is just silence. The silence coupled with the sounds of the South, crickets, the bayou, are what bring this film’s most sincere, depressing moments. Solomon is alone in a world where no one knows his real name, no one cares who he was or that he is educated, instead his ability to read and write is silenced and in his alone moments is when he thinks about his family and the plight that has fallen upon him. The film also uses a lot of close ups to portray the sadness and pain that Solomon feels, there isn’t a moment where we don’t feel like we can see what he is thinking. He is angry about where he is, but he is also tired, and there is a sense of desolation and despair in his eyes. From Epps we get close ups that show his evilness come through, yet there is a sense that he knows what he is doing is wrong and that God is watching him in dismay. He drinks the days away to forget those feelings, as the one former slave owner says in the film, it is difficult for the overseer as well to deal with the pain that they inflict and for one not to feel anything they are either truly evil or they numb the feelings away. 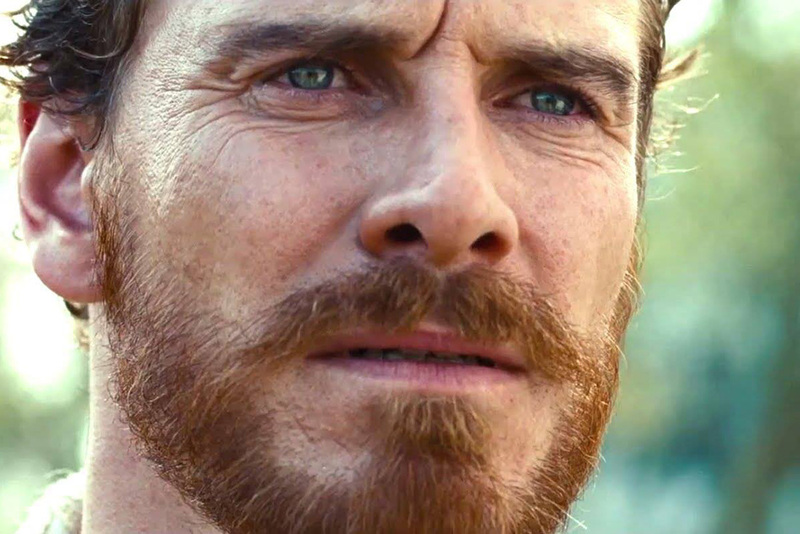 The story is well told and the performances from Ejiofor and Fassbender stand out. Two characters who are on the opposite end of the spectrum, but both act out their side brilliantly. The film moves along as I mentioned with flashbacks, but this makes sense and adds succinctness to the movement of the story. I would definitely recommend this movie and I believe this has Golden Globes/Oscars written all over it. Excellent post, I’m really going to have to see this film as soon as I can. Great review. This is a powerful experience, one of the most disturbing films I can remember seeing, not least because it so carefully shows the way broken systems corrupt individuals, something that continues to happen even today. Thank you ! Yes I agree I left the theater feeling shaken up and then had to go watch football. I was not excited to say the least. That is a good point, in a sense it continues to occur today, in a different way than slavery, but it is still prevalent. Prevalent in so many ways in so many areas. It might be one of the best thematic movies I have ever seen. By the way, it’s interesting that you thought Epps felt guilty. I never had that sense while watching the movie, but I can see it now that you’ve pointed it out. Something more to think about. Thanks for commenting…Yes I felt like he knew what he was doing was bad, he couldn’t contend with the feelings he had for Patsy either. We see parts in the film where he protects her, but in order for him not to show that he does have feelings for her, he takes it out in a malevolent way. I feel like this is one of those movies that you need to see again to catch even more little nuances.